Very nice shape. Cabinet is redone, perfect back glass, very nice original playfield. All new drop targets, have new plastics not installed, originals are still nice. Email for pics, [email address removed] . These are kidchrisso's all time market stats. Well since there's a Popeye for the same price I'm befuddled. Perhaps this price is for 2 seawitchs? But seriously, you never know. I believe Shazaaaammmm is the word people are looking for??? Whysnow is bringing it back! Is this game better than Stargazer? The price on a few early Sterns are getting crazy. I know of a couple Star Gazers that sold in the 6-7K range in the past few months. It's nuts. The price on a few early Sterns are getting crazy. I know! I had to pay $600 for this Lightning last week in San Diego! Things are getting out of control! And that Stars I bought is more than most people can afford. I know! I’m still saving for it! I’ll give you $200 and you’re on a win! 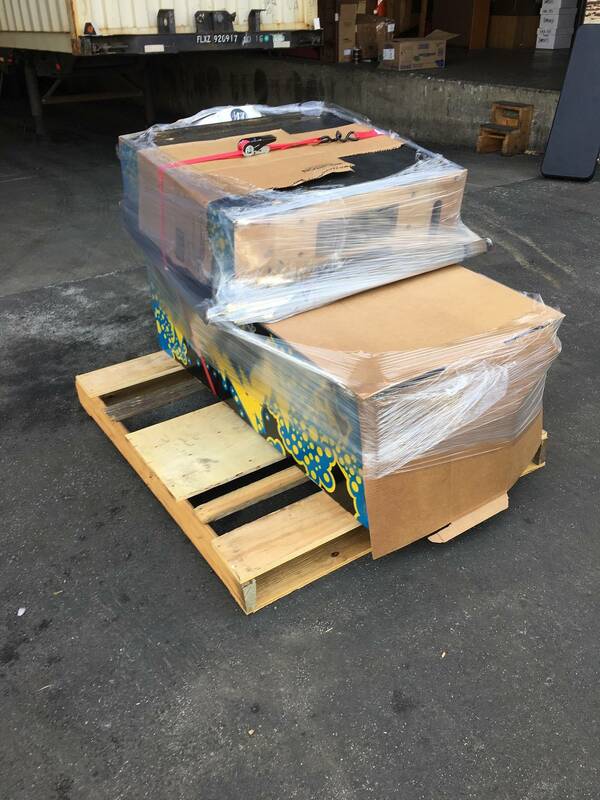 Wow, THAT's how they shipped it???? yikes. Seawitch is an awesome machine. There won't be any remakes of early Sterns according to Gary Stern. Drop target banks are too expensive and he would have to sell them for almost the same price what "modern" Sterns go for. At least that's what he told me when I asked him that question. Great or not, even nice condition Seawitchs regularly sell for half the asking price. Hell there were 2 local in the past year for under 2k that were comparable condition. There are 3x as many Seawitch as Star Gazer, 2x as many Seawitch as QuickSilver. 8x more than Dragonfist. Reality is that it is not on the same level of art, game play, or desirability as the games that the OP is attempting to elevate the status to. I have largely been retired from price policing, but in this case the OP has been passed along some VERY nice deals on other classics, so it is sad to see this level of inflated sales price. Only when it's a game you don't have, you price police. If you own the game, you are the world's worst price pumper. One SG I played was down on the left flipper. The 2nd one I played was down on the right flipper so I cannot make an honest comparison. But Seawitch is a screamer. You have four flippers and one ball that always seems to be in reach of one of those flippers. It will keep you busy. I have Sw, Qs and Sg..... I would say out of the 3 SW is 3rd on my list. Don't ask me which one is number 1 though. Love Seawitch. Wicked fast game. I have owned a Stargazer in the past. Seawitch is every bit as good if not better.